Technology is transforming the way we live, from the way we work right down to the way we order food. The transformative power of the web and associated technology is almost unparalleled: it's right up there with fire, or the wheel, in terms of the effect on society. Technology has been especially disruptive in the healthcare industry. GP booking is now done mainly over the web rather than in person or on the phone. With the web now largely covered, some surgeries are moving to booking through an app, as more and more people prefer to use their phone or tablet over a traditional computer. According to Patient Access, one in four practices uses its app to let users schedule appointments with their nurse or doctor. That's a huge chunk -- around 1,860 practices -- of the public sector investing in the cloud and its services. Technology is being embedded in nearly everything we do in terms of healthcare, if not other aspects of life. From the ability to book appointments through an app and gain full access to personal medical record, to enabling fitness and health trackers, to informing a GP of any significant health changes. And it won't stop there. With this in mind, it's no wonder the question has been raised about the safety of our private information. 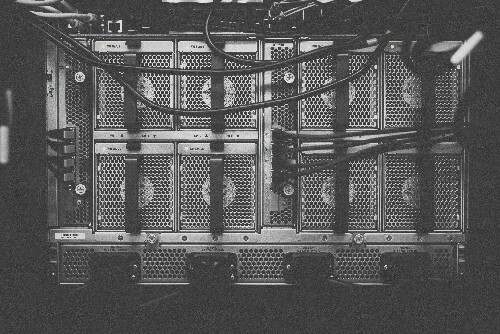 Earlier this year Jeremy Hunt, the UK's Secretary of State for Health and Social Care, signed off on the guidance for embracing the move from onsite servers to cloud services. The guide outlines the rules and regulations that NHS and social care organizations must use if they are to store data, including confidential patient information, in the public cloud. Cloud-based services allow healthcare organisations to lower IT costs and enhance their ability to develop, test and deploy services quickly and relatively inexpensively. Security is always a risk, however -- cloud providers have huge budgets to pay for updating, maintaining, patching and securing their infrastructure, and with personal data stored on these services, top-grade security is critical. This means cloud service providers can mitigate many common risks the care sector faces without charging for the luxury. Though the move to the cloud has made it easier for patients to access their medical records through apps like Patient Access, it's not only patients who are reaping the benefits. The move to the cloud is proving to be hopeful for productivity gain throughout the industry with the ability to access the cloud at any time, from anywhere. Staff can access patient files remotely, and quickly. Instead of paper files, or relying on memory, they can give accurate and helpful advice during their visit or consultation. There's been a lot of advertisement around online consultations with doctors, which has been hard to miss. Apps like PushDoctor enable you to meet with a licensed doctor online and receive a consultation –- they'll be able to send you a sick note or a prescription and even have it delivered to your door. But the promise of no wait time, plus the fact that you don't have to show up to your practice, or book in advance, does come at a cost of not meeting in the flesh with a doctor. OpenPASS, which was launched last June, looks to give family members the chance to stay better connected with relatives who are in a care home, or receiving care at home. Family members who are verified can access information recorded by their relatives, whether that's the medical care they've received or how they're feeling. Other services, such as Cera, use cloud-based apps to help professional carers keep track of patients and their needs. On reflection, I’m all for this 'pocket healthcare'; in fact, it'd probably be quite helpful, especially with work and life commitments -- but nothing settles my mind like a face to face meeting with my GP. Book your pass to Cloud & DevOps World here. We have several free Expo passes, which are perfect if you want to attend or explore the exhibition area, meet sponsors and take part in some of the free features over the three days. Get your free ticket. 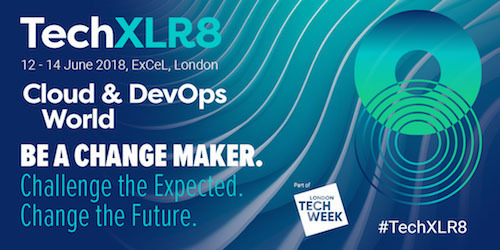 Also, if you're an enterprise looking to explore Cloud & DevOps World, a limited number of free passes for representatives from enterprises are available. Get in touch. Accredited journalists are entitled to access the entire TechXLR8 event, including entrance to the expo, show headliners and conference sessions across all eight events. The cloud has completely changed how both consumers and businesses manage money. All the best bits from Cloud and DevsOps World 2018! The cloud has completely changed the way we shop, from the web to mobile and now voice. While automation is going to cause disruption in the job market, it is crucial companies retain employees and retrain them in new skills.